Hey my beautiful ladies! 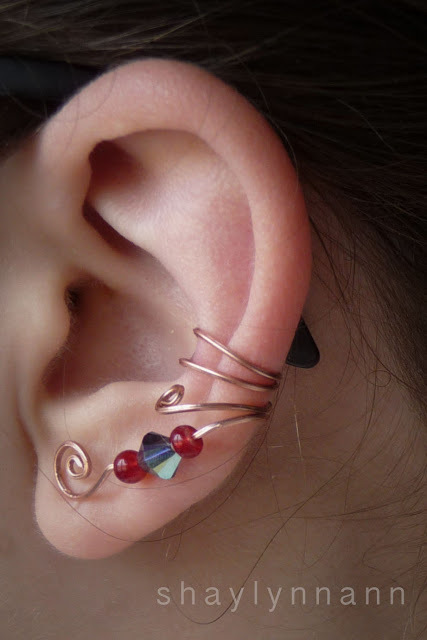 I’m not sure if you’ve noticed, but ear cuffs have been making their way onto just about every earlobe this year. 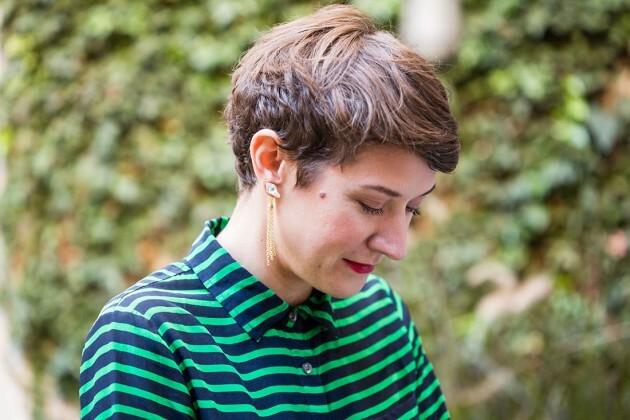 If you want to take your earrings at the next level, bling and pretty, try ear cuff as optional accessories, and you have effortlessly made a style statement. 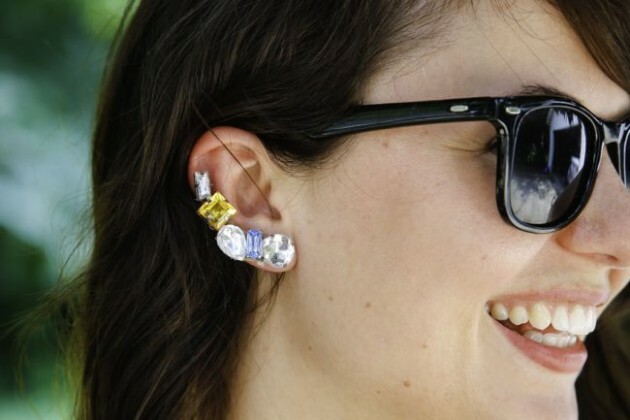 Wearing one of these bold, edgy earrings will make you feel like a confident fashionista, ready to conquer the world. 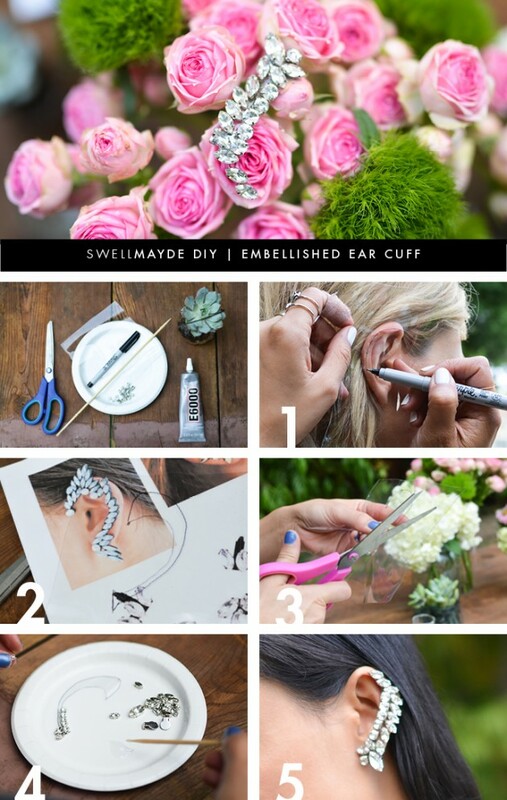 Making your own ear cuff can be very simple, and I was thrilled with the creative ways these crafty girls have used jewelry pieces to turn it into a pretty ear cuff. 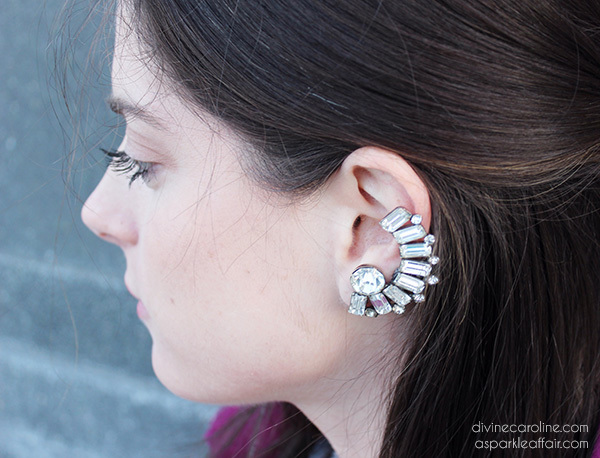 These 15 statement DIY ear cuffs will turn heads and be a great addition to any jewelry collection. I hope you will end up making several for you and several more to give to your friends as a gift. 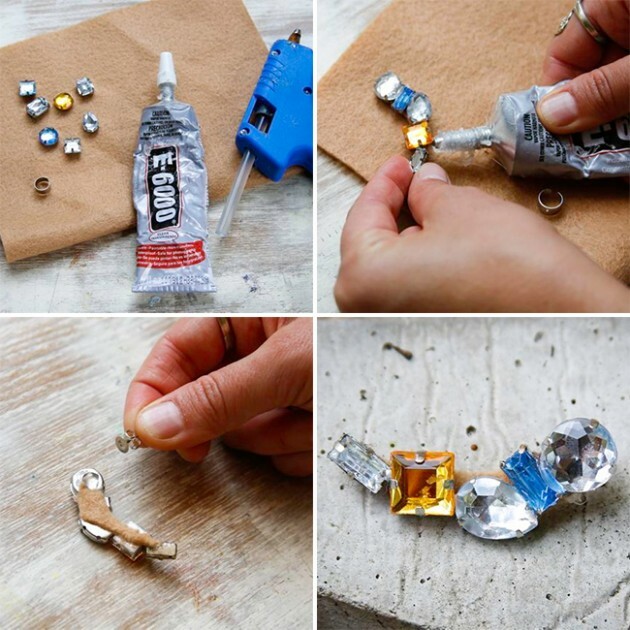 It’s important not to skimp on the quality of materials for this tutorial – good glue and crystals are a must for that strong hold and sophisticated sparkle! Arrange the gems on a piece of felt, keeping a slight curve and the largest gems at the bottom. Once you like the design, glue the sides of the gems together with E-6000. Let the glue dry completely and cut away the felt. 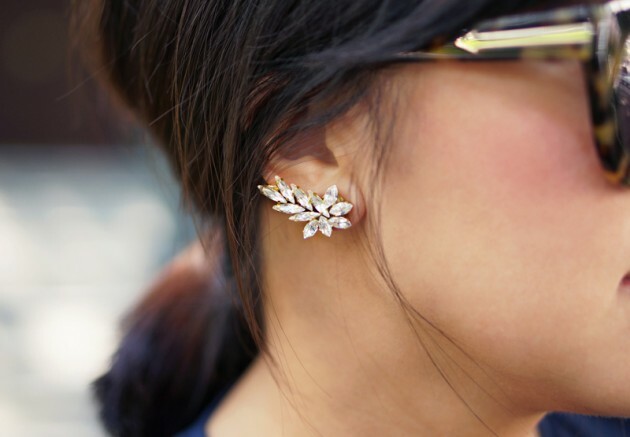 With a dab of hot glue, attach a flat earring backing to the bottom gem. 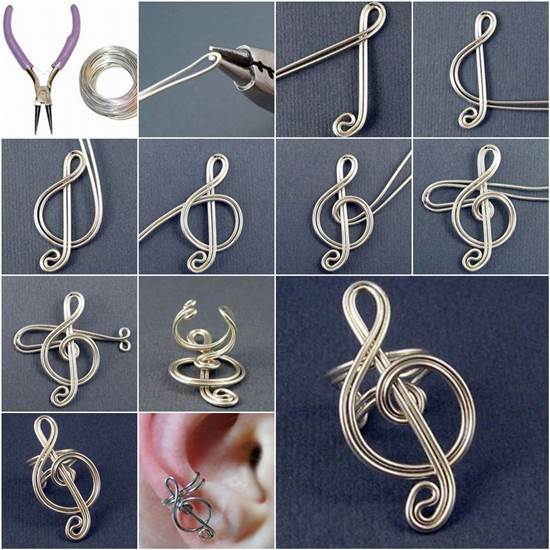 Note: You can bypass step 3, and cut out your ear cuff after you glued your the rhinestones on the clear vinyl. Make sure it dried thoroughly before cutting. 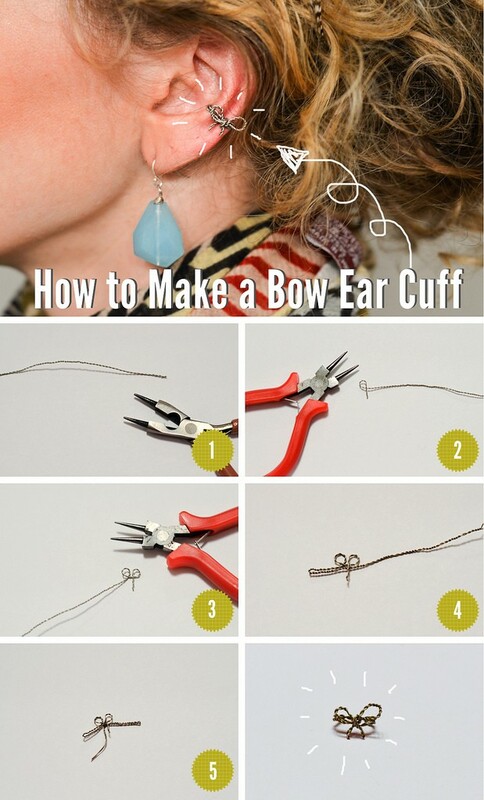 This makes it very sturdy if you created a larger ear cuff. Pair theses with an all-black getup and let them shine. 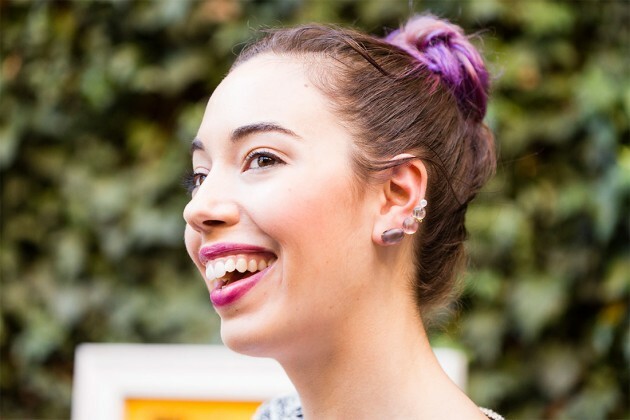 Wearing them with your hair up is always a bonus so they can really stand out and shine. 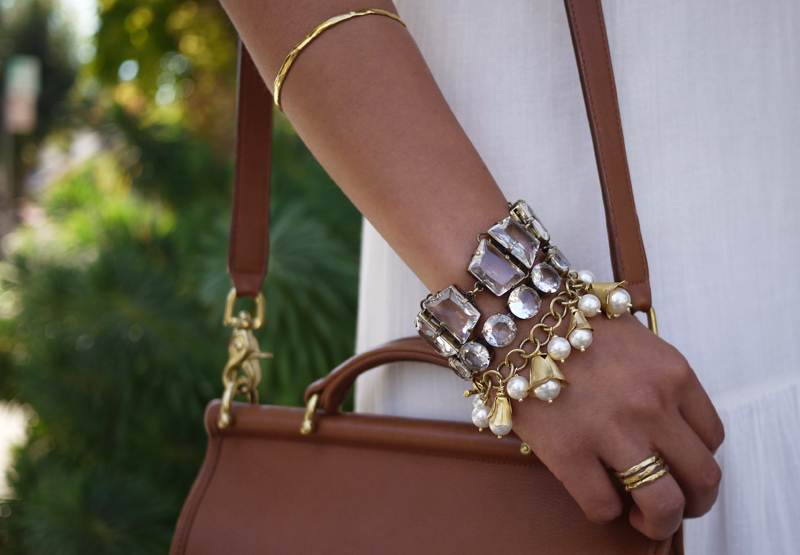 You can add pearls or decorate it in many other ways to get a unique piece of jewelry. You can squeeze the ring a bit to make it fit your ear better. A pretty simple project if you have the right tools.